Pioneers in the industry, we offer automatic hand dryers, eco hand dryers, stainless steel hand dryer, ss automatic hand dryers and automatic soap dispenser from India. Banking on our quality oriented professionals, we are offering Automatic Hand Dryers to our clients. 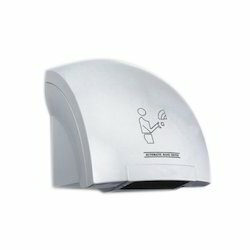 These Automatic Hand Dryers are excellent in quality and are based on innovative techniques. These dryers are highly efficient and are ultra fast. These dryers are available in technically advanced specifications and are customized according to requirements of clients. These are stylish and innovative and are easy to use. 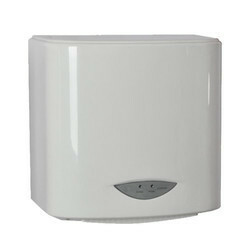 Counted in category of topmost organizations, we are offering Eco Hand Dryers to our clients. These are excellent savers of paper and 99% energy saver compared to paper towels. These hand dryers can easily dry hands within seconds. These operate in hassle free manner for years and that too at high speed. These dryers are fully automatic and are able to give the best performance for years. 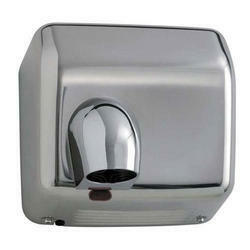 Backed by professionalism, we are providing Stainless Steel Hand Dryers to our clients. Automatic mechanism, sleek design, long service life and excellent functionality are best known attributes of these dryers. These dryers are able to work in accurate manner for years and are offered in both standard and customized options. These dryers are free from all types of defects and are delivered in allotted time frame to our clients. 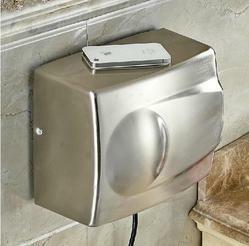 Our organization is highly appreciated in providing Touch less Hand Dryers to our clients. Reliable performance, unmatched quality and user friendly settings make these dryers ideal for hand drying applications. These dryers operate without hassles and are reliable as well. These dryers are available in standard and customized options. The entire range of these dryers is well checked before delivering to our clients.